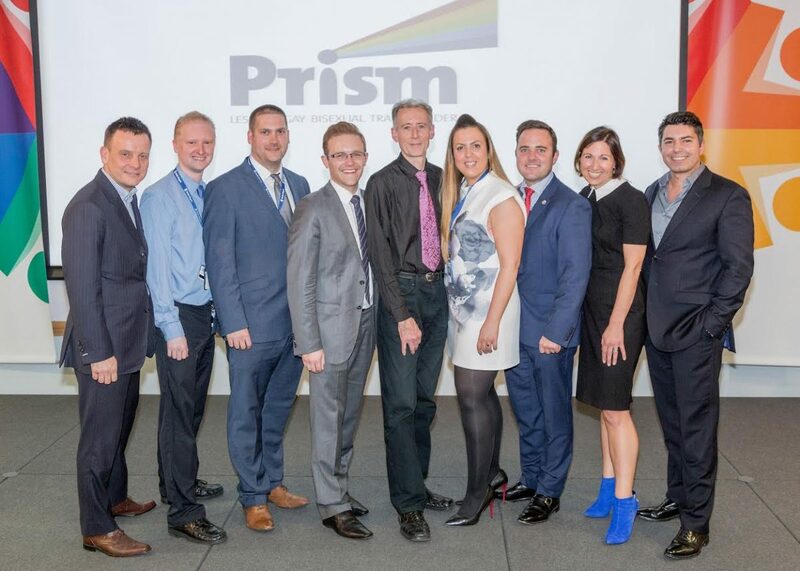 On 27th October 2015, I had the pleasure of being invited to present at the launch of the newly formed LGBT employee resource group PRISM. Other speakers included senior HR Director from Rolls-Royce and also the renowned LGBT rights campaigner Peter Tatchell. Rolls-Royce spoke about the company is working to create a High Performing Organisation, and Peter covered the ethical importance of business supporting minority groups in business and communities wider afield in which they operate. The InterEngineering presentation I gave focussed on our aims to create an inclusive engineering industry for LGBT+ engineers, principally from a grass-roots. I discussed our model of connecting, informing and empowering engineers from the grass-roots, and leveraging support for senior managers. Overall, the main aim being to embed change culturally, and change hearts and minds throughout the organisation. RR represent the model which we would like to see engineering companies use. They recognise that employee resource group helps create a focal point for their LGBT staff. Their staff are spread across multiple sites. 1 in every 3 jobs in Derby are with RR, and they also have a large operating centre in Bristol. Overnight, the membership of PRSIM doubled after their launch event. I was informed there were members of the audience whom never thought it possible they would see such advancements during the course of their careers. I had the pleasure of sharing a taxi afterwards with a former employee, now retired having worked for many years at RR. He spoke fondly of the company and of how he met his partner at there. Since the launch event we have featured RR in our National Student Pride video where they also had a stall. This shows commitment from a major UK engineering employer who are on a journey to showcase they value difference and want to reach out to the LGBT+ community. I hope others follow suit and create employee resource groups in a bid to create an inclusive working environment for LGBT employees. It’s fabulous to have a workplace with Total Inclusion.